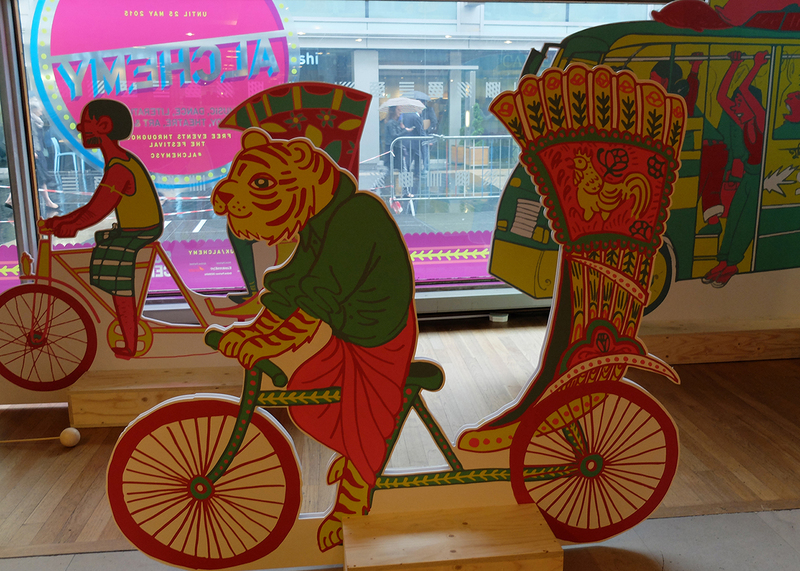 I was commissioned by the Southbank Centre and the British Council to create a MASSIVE 2 story installation along Mandela’s Walk for Alchemy Festival in May 2015. 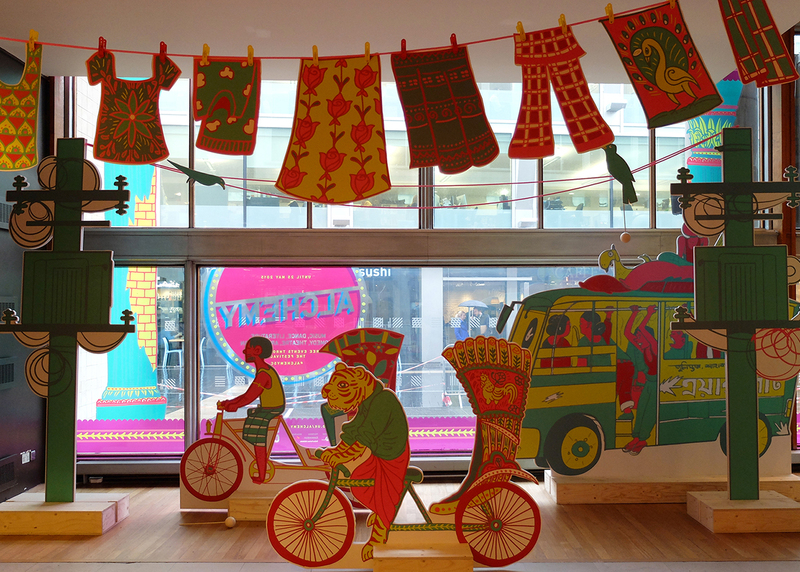 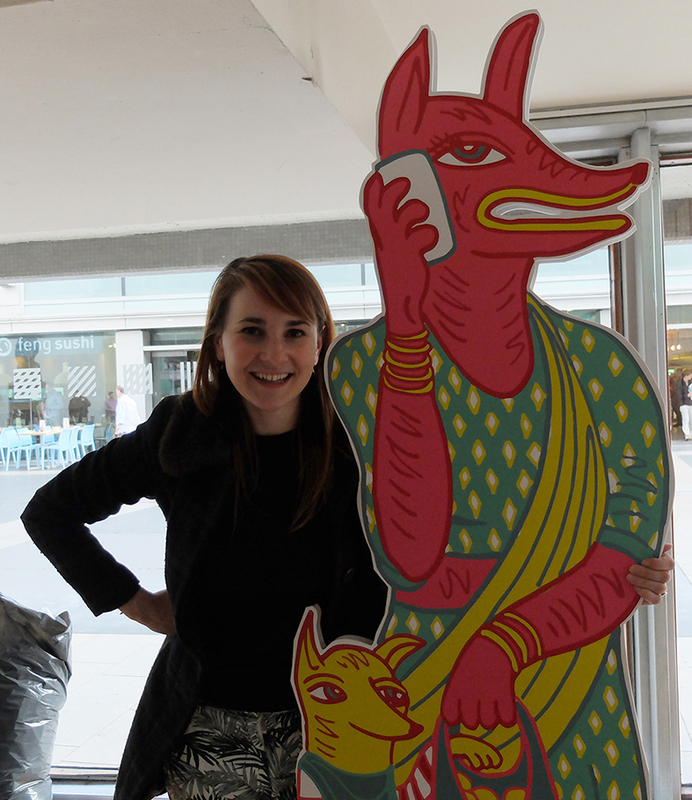 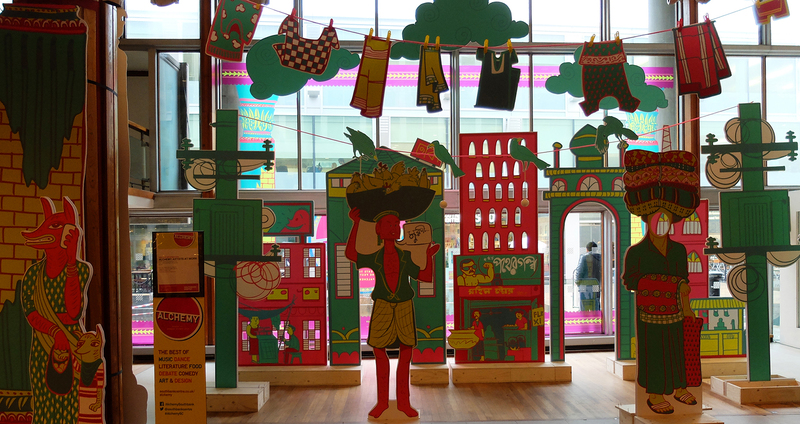 I designed a Bangladeshi street scene as a giant paper theatre and collaborated with Bangladeshi comic artists Syed Rashad Imam Tanmoy and Asifur Rahman and set builder Andrew Lock (at Lyn Atelier LLP) to make it. 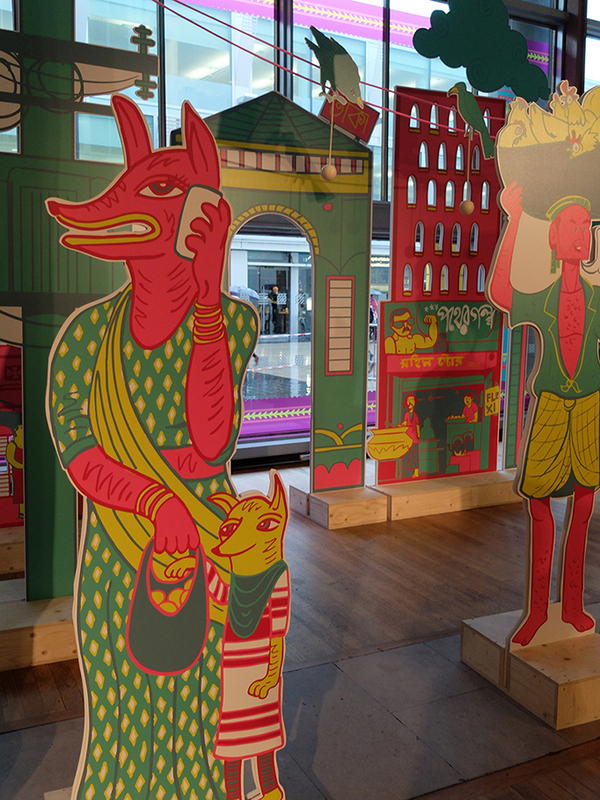 It was exciting to have the chance to create an illustrated world which audience members could walk through and become part of.